4 interlocking stories all connected by a single gun all converge at the end and reveal a complex and tragic story of the lives of humanity around the world and how we truly aren't all that different. This movie is a masterpiece and might as well work as the definition of how an episode movie has to be. It works with time-shifts that are not confusing, builds up the required tension while taking the needed time to develop the story as well as the characters. And it does this so virtuously that you'd like to press the replay-button immediately, not because there would be any open questions, but because of the elegance of the plot and the beauty of the cinematography. Great one ... and from now on on my "rewatch frequently"-list. I heard that one was supposed to be good, but I never got around to checking it out. Maybe someday. ...which made me feel very sorry for the poor lady. 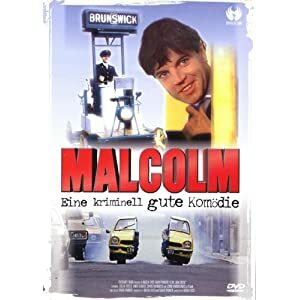 Malcolm (Colin Friels) is a slow witted, painfully shy young man who has a talent for creating mechanical devices. He also has a great obsession with trams. Malcolm lives on his own in a quiet street in an outer suburb of Melbourne, Collingwood to be exact. When he becomes in need of financial assistance Malcolm decides to rent out a spare room in his house as to the advice of the local shop keeper. 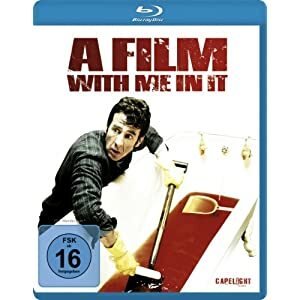 In no time at all Frank, (John Hargreaves) an ex-convict and serial burglar moves in, followed soon after by his girlfriend Judith (Lindy Davies) who works as a waitress. This is when Malcolm begins to come out of his shell and slowly begins to form a bond with Frank and Judith that then develops into a friendship. During this time Judith loses her job and decides to team up with Frank and Malcolm to embark on a career as bank robbers. With Frank’s naturally aggressive persona, Malcolm’s genius for mechanics and a ladies touch from Judith it proofs to be a perfect and unique match. Wish I would have known this movie about 25 years earlier. Not because it's such a great movie, but because then it would have had the status of a "Classic" for me now. It's a good movie, entertaining with funny moments, on some occasions one might even realise black humour. Sadly this mid-eighties film didn't age too well, at least not if watched for the first time in 2011. Can't really say why I didn't get into this movie, the acting is "Good" with a tendency to "Awesome" (especially John Hargreaves), the story has all it needs to make a good film, there's nothing to say against editing and directing. It's all OK, but sadly only OK.
Quite an entertaining movie for a mid-season Friday evening. In Verona, Italy the beautiful city where Romeo first met Juliet there is a place where the heartbroken leave notes asking Juliet for her help. It's there that aspiring writer Sophie (Amanda Seyfried) finds a 50-year-old letter that will change her life forever. 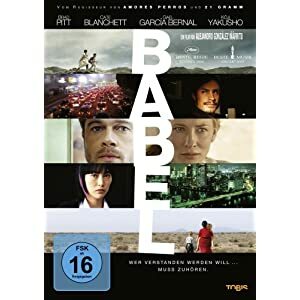 As she sets off on a romantic journey of the heart with the letter's author, Claire (Vanessa Redgrave), now a grandmother, and her handsome grandson (Christopher Egan), all three will discover that sometimes the greatest love story ever told is your own. What a wonderful idea for a romantic movie, what a beautiful scenario, now really is there a better environment for a romance than Tuscany? Vanessa Redgrave as Claire! Haven't seen anything of her in a long time and she is brilliant in this movie. "Letters to Juliet" is exactly what it wants to be: a classical romantic movie with the easily foreseeable Happy Ending, a Feel-Good-Movie that's enjoyable as long as it lasts and is forgotten one hour later. It's just that the leading cast cannot compete with the plot, I don't know who told Amanda Seyfried that she is an actress, but he/she lied, Seyfried has the same acting capabilities as Ashton Kutcher and exactly the same mimic capabilities as Steven Seagal and this way always looks like the first walking and talking Barbie. Not to forget Christopher Egan, he would easily win any Heath Ledger look-alike contest and for this even copies the mimic of the antetype, sadly the look and the mimic alone don't make a Heath Ledger. But hey, they are beautiful, and no one expected this film to get an Oscar nomination anyway. This is a nice flick for Valentine's Day, not more not less. And it's OK this way, because it doesn't want to be more. Mark (Mark Doherty) is an actor and really down on his luck. When his brother (David O'Doherty), landlord (Keith Allen) and dog are killed in a series of freak accidents, he calls on friend and neighbour Pierce (Dylan Moran), a wannabe-screenwriter with a severe alcohol problem, for help. As the series of deaths would appear suspicious, aspiring writer Pierce advises Mark not to call the police, and instead the two try to re-work the days events as if they were a film script. A "Must" for all friends of the dark humour from the British islands. But where the black humour of the Brits comes with surgical precision, this Irish production works with sledge hammers. Which in this case is definitely not a minus point. From this movie you will get just about anything you expect from a good comedy: laughs, chuckles, several wide grins and a lot of "That didn't actually just happen!". Great one! And once more the proof for my thesis that a good idea and enthusiasm make up for any lack of money. What adds to the fun are the guest appearances of Jonathan Rhys Myers and Hugh O'Conor. 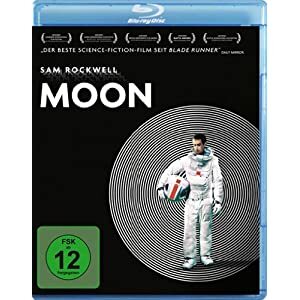 Sam Bell (Sam Rockwell) is nearing the completion of his 3-year-long contract with Lunar Industries, mining Earth's primary source of energy on the dark side of the moon. Alone with only the base's roboter "Gerty" (voiced by Kevin Spacey) as his sole companion, Bell's extended isolation has taken its toll. His only link to the outside world comes from satellite messages from his wife and young daughter. He longs to return home, but a terrible accident on the lunar surface leads to a disturbing discovery that contributes to his growing sense of paranoia and dislocation so many miles away from home. This film has been compared to genre classics as 2001, Blade Runner, ... and has won prizes on just about any festival it was presented on. Enough praise to make me somewhat skeptic. I would be among the first to say that Rockwell is an extraordinary actor, I love his work ever since I first noticed him in "The Green Mile". But I doubted that he would be good enough for a 97 minutes one-man-show. Well I'm proven wrong, he is good enough, hell, he's even better than that. We have a masterpiece of the genre here. Just about everything is perfect, the cast (OK, it's not that many), the directing, the photography, even the CGI is only there to support and promote the story and not to blindfold you for the weaknesses of the plot (not that there were any). It could have easily been as long-winded as 2001, instead it's gripping and keeps you in front of the screen with eyes wide open. A "Must" for all "SciFi" fans . . . and for those that usually don't like "SciFi" too. It's a great movie and the fact that the plot is located sometime in the future is merely a sidenote. I had this on my wishlist for some time, but then I saw the ridiculous trailer for Source Code, Duncan Jones' next sci-fi movie, and lost interest. Yes, you can call me silly for judging one movie by the trailer for another. In all seriousness though, it is a mistake to judge Moon based on that trailer, because I agree it does come across as a typical sci-fi thriller. It could be great, but this smacks of Hollywood giving Jones a boatload of cash and him going a bit nuts. Moon was such a small production, it's entirely possible he's found himself out of his depth on a bigger production and got himself railroaded. I hope I'm wrong, but the premise seems like it will be monotonous. I agree with Michael. Moon is something special and important to note that it is small and subtle, not big and in your face. I was particularly fond of Kevin Spacey's voicing of the robot that is trying to keep Rockwell sane. I'm glad you reviewed this, it reminded me to seek it out. a film about racism from South Africa that doesn't use the word Apartheid and in fact is entertaining. I'm loving it, even though I liked the approach of a fake documentary (beginning and ending) much more than the "Enemy Mine"-clone the flick is in the middle part. You can watch it with your brain on StandBy and you'll see a great SciFi-Thriller with enough explosions to keep you entertained. You can watch it with your brain on and you will see a parable on the human tendency to segregate other beings for real or imaginary differences. Nice one. And if it wouldn't have copied "Enemy Mine" that obviously, I would have awarded 5 stars. A young journalist (Jesse Eisenberg), a seasoned cameraman (Terrence Howard) and a discredited war correspondent (Richard Gere) embark on an unauthorized mission to find the no. 1 war criminal in Bosnia; they find themselves in serious jeopardy when they are mistaken as a CIA hit squad and their target decides to come after them. I got this movie with my TV-magazine and have never heard anything about it before. Which in fact is strange if you take into consideration it's gripping story and the terrific cast. After just about 10 minutes it became clear why this movie passed completely unnoticed by the masses: It's so cynical that it sometimes hurts. Nevertheless (or probably: because of this), it's a great movie. The interaction between the three main-actors is absolute fun to watch, the guest appearance of Diane Kruger would have been worth an Oscar (if it wouldn't have been that short). The plot gets your full attention within the first two seconds and doesn't let you go until the end-credits. The photography is absolutely fabulous, the directing is so good that you actually don't notice it is there. This movie has just about anything it needs to make a great movie an unforgettable movie, possibly even an all-time classic. The most disturbing part is that this movie is based on a true story and was shot on the original places.